Recently I will deliver a session regarding dependency inversion principle to my team. As Java Spring is already widely used in all other Java development teams in my site, some ABAPers are not well aware of its idea and implementation under the hood. In order for ABAPers to easily understand the mechanism of Java Spring dependency inversion, I wrote a prototype in ABAP after going through related Java source code of Spring. Thanks a lot for efforts spent by authors of them! 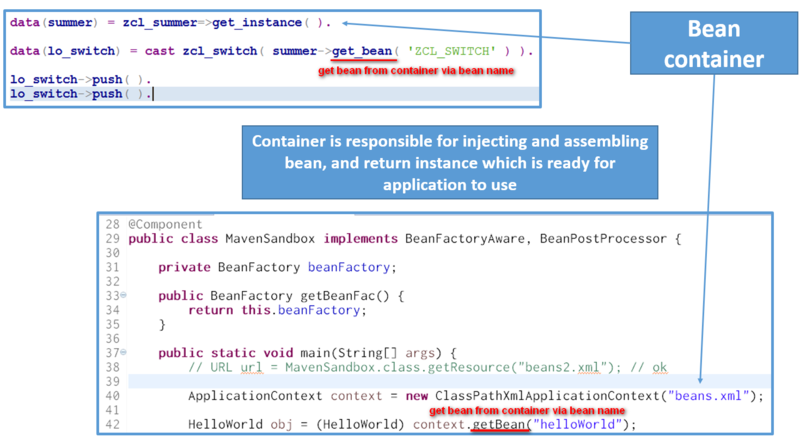 Compared with those blogs, the advantage of my prototype is: it follows exactly the design of Java Spring, it is not needed for users to do any other manual dependency registration except a single annotation @Inject. 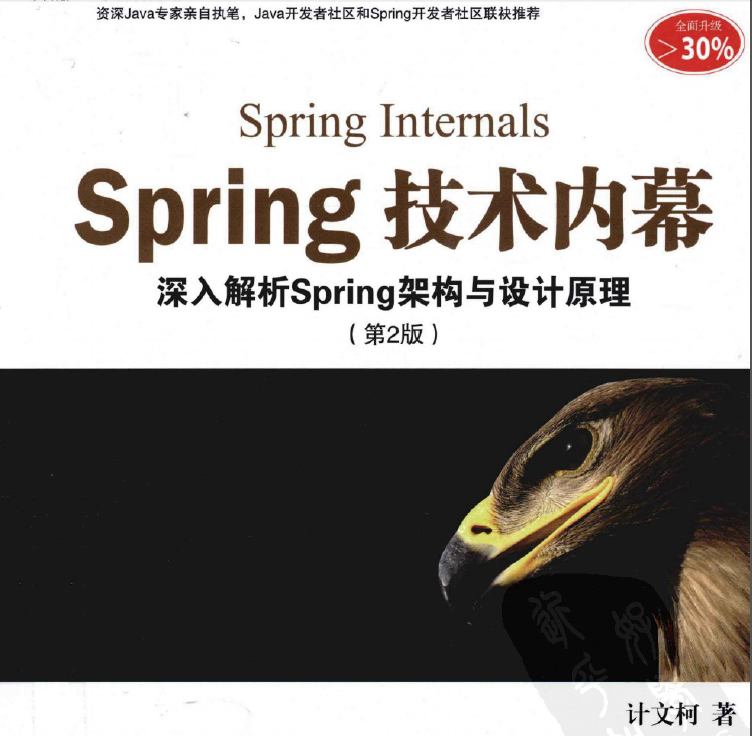 So it is useful for ABAPers to understand Spring dependency internal implementation. Let me begin with a simple example. In real world I have a switch. By pressing it, the lamp connected by that switch is turned on. With switch pressed for second time, the lamp is turned off. That’s all. Here the ZCL_SWITCH has tight dependency on ZCL_LAMP: it has to manually inject this dependency via setter method in line 11. 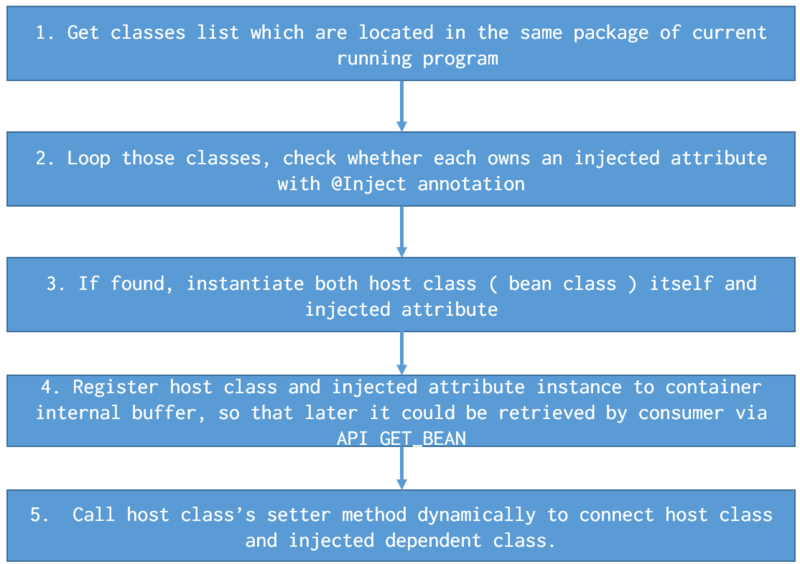 When the same requirement is implemented in Java Spring, the logic in line 11 could completely be avoided, with help of various powerful annotation like @Autowired, @Named, @Inject etc. Thanks to Java Spring container, lots of labor work has been done by it under the hood, saving lots of routine effort from application developers so that they can only concentrate on the core business logic. For example, in Java using Spring, all developers need to do is to add annotation @Inject on top of attribute switchable – in the runtime Spring will guarantee that the annotated implementation for this interface is instantiated automatically. How can we simulate the similar logic of Spring now in ABAP Summer? 1. 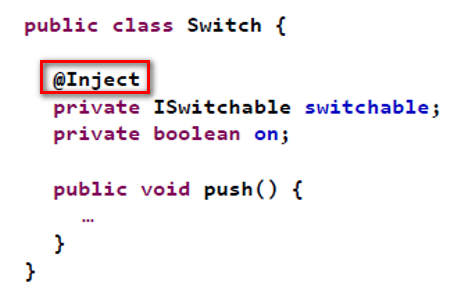 Add the annotation @Inject to attribute mo_switchable, which tells ABAP summer “hey, I would like this attribute to be automatically injected with proper implementation in the runtime”. Since I have no other way to add metadata in class attribute in ABAP – there is no first class annotation supported in ABAP – I have to use description field for simulation. 2. And below is my consumer code, no more manual instance initialization and manual setter call. Very clean, isn’t it? data(lo_switch) = cast zcl_switch( summer->get_bean( EXPORTING iv_bean_name = 'ZCL_SWITCH' ) ). 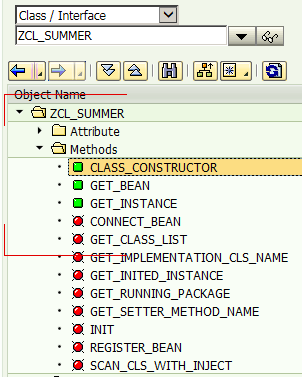 How does ABAP summer work? You can find source code of ABAP summer from my github. There are lots of books written to illustrate the design of Java Spring, I read one of them listed below, and wrote this ABAP summer based on my understanding. 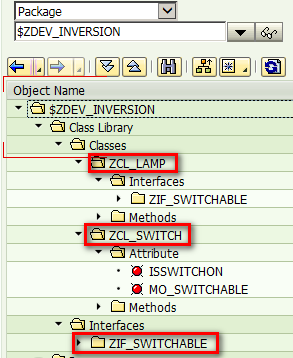 Last by not least, when you try this demo, after you copy the source code of ZCL_SWITCH to your system and activate it, NEVER forget to add this annotation in description field manually, as in ABAP, the attribute description is not stored in source code but in DB table. The annotation in Java is a form of metadata which could be defined by application developer and are available in the runtime by Java reflection. It is a built-in language feature supported by JVM. In ABAP there is no such first-class annotation supported. In CDS view, there are some grammar which have annotation-like style. You can append lots of annotation defined in SAP help to a CDS view.